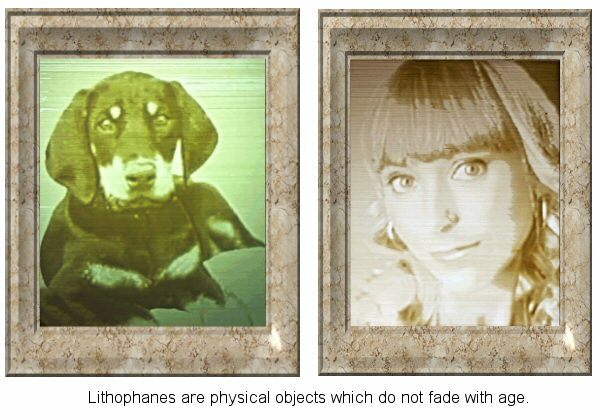 Software for making lithophanes from a photo. The back lighting is required because it is the light shining through the lithophane which gives it the glowing effect. 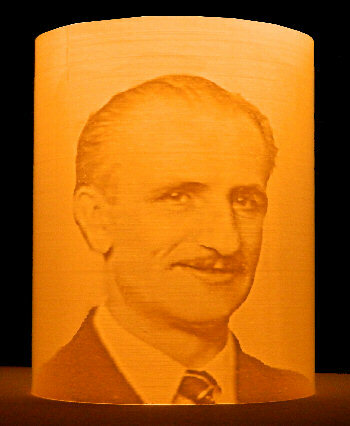 The more material there is in each part of the lithophane, the less light gets through. But how do you create the file which you print with your 3D printer or router? With PhotoToMesh you simply drag the image into the main screen, adjust a few settings if you want and voila! One important setting if you intend to make a Lithophane STL file is the Invert Mesh checkbox. Make sure it is checked, because that will cause the brighter parts of the image have a lesser thickness. So when the final lithophane is backlit the brighter, thinner, parts will transmit more light. This program will even do cylindrical lithophanes, where the "sculpted image" is created on the outer surface and you put the lightsource inside the cylinder. Here is the same image viewed in PhotoToMesh but set to "cylindrical." Although lithophanes are nice as stand-alone objects they can be also be used as parts of decorative lamps, and other objects. 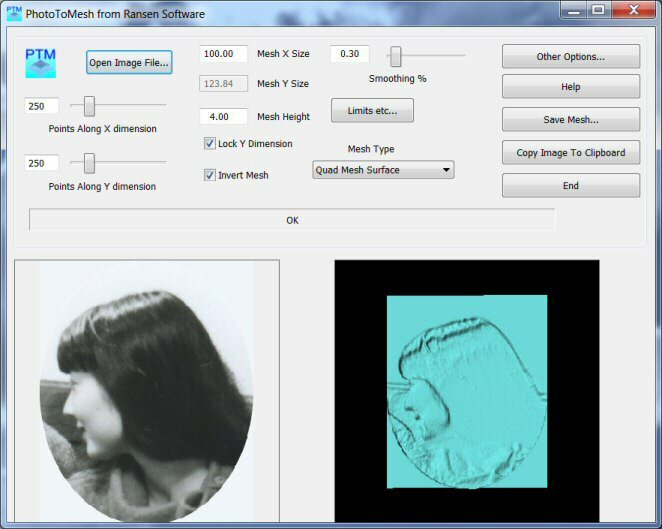 PhotoToMesh has a free demo version for Windows which you can download and try with your own images by clicking on the button below. STL File Format: An STL (STereoLithography) file is a triangular representation of a 3D surface geometry. The surface is divided into a set of oriented triangles (facets). The whole collection of triangles forms a closed surface which can be manufactured. It is a format which was created by 3D Systems. You don't need to know that though, PhotoToMesh will create the STL file at the push of a button. PhotoToMesh examples with logo images.